The SleepStyle™ 200 Auto Series is an advanced auto-adjusting system designed to enhance patient comfort with our unique SensAwake Technology. SensAwake senses when a patient wakes and promptly lowers the pressure to aid the transition back to sleep. The result is a more personalized therapy during sleep and awake states. 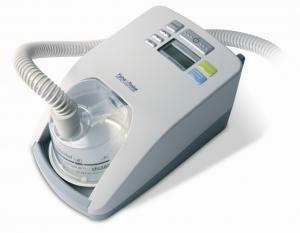 The auto-adjusting algorithm detects and responds effectively to flow limitation, apnea and hypopnea. In addition, the Performance Maximizer software offers detailed efficacy reporting for clinicians and uses recognized USB technology for easy data transfer. SensAwake Technology Patients commonly arouse from sleep and experience awake states, during which they are often intolerant of pressure. SensAwake uses flow to monitor patients' breathing patterns, identifies these awake states and promptly reduces the pressure. Benefits: Personalize sleep treatment to patients' needs through: Increasing sleep quality, Enhancing patient comfort, Improving patient compliance.